(Editorial is also 61.5% male including our staff, which from one perspective has absolutely terrible gender numbers [sorry Bob] but from another is really, uh, doing a lot of work bringing Gawker in general to that 60/40 split.) 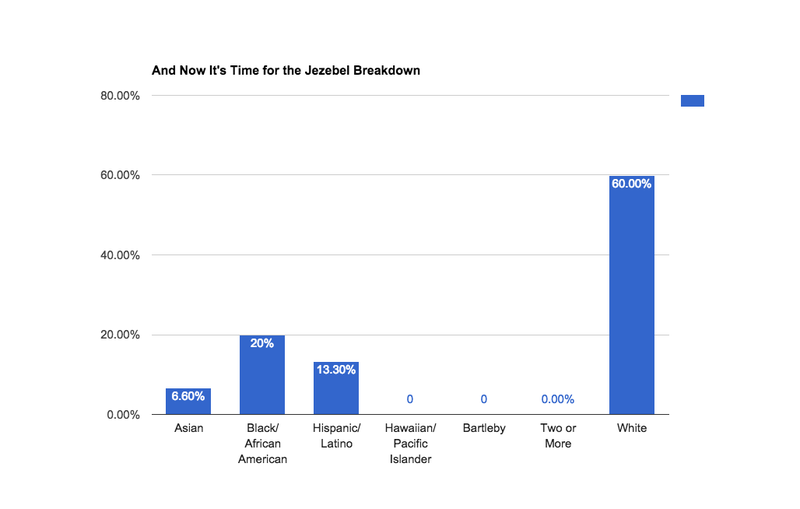 Anyway, I thought I’d do our numbers at Jezebel really quick. Namaste.